I used to do a lot of posts with runway photos, but I think it is somewhat redundant. Anyone can go over to Style.com and see a very nice layout, tons of photos and reviews of collections whenever they choose. So I think I’ll just have an always changing banner, little mash-ups of a designer’s line that I’m loving at the moment. It’s a subtle way to hold on to my love of runway photos. 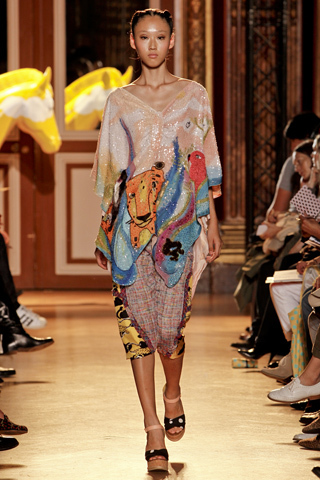 This banner is the amazing Tsumori Chisato’s Spring 2011 collection. I am very fond of the color palette and the mixed prints. It’s wacky chic.